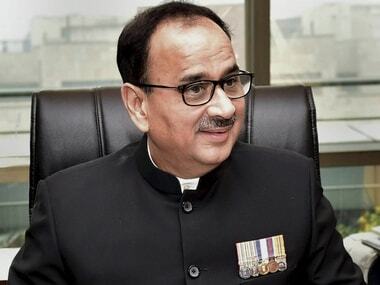 The Supreme Court on Tuesday stepped in to "insulate" the Central Bureau of Investigation (CBI) from political interference and reinstated Alok Verma as the CBI director setting aside previous Centre order divesting Verma of his powers and sending him on leave after an internal feud in the investigative agency came to the forefront in October 2018. The Supreme Court asked the government to refer to a select committee for the decision, however, till the decision of the select committee, Verma will not be able to make any policy decisions, the court maintained. Supreme Court said that the selection committee is expected to meet within a week, however, the court has not specified a fixed time to take decision on Verma. 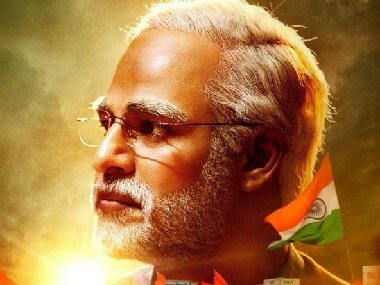 The selection committee comprises the Prime Minister, the Chief Justice of India and leader of the single largest party in Opposition — Narendra Modi, Ranjan Gogoi and Mallikarjun Kharge, respectively. However, reports questioned CJI's involvement in the selection committee since he has authored the judgment commenting on the charges against Verma. Verma's retires as the CBI chief on 31 January. 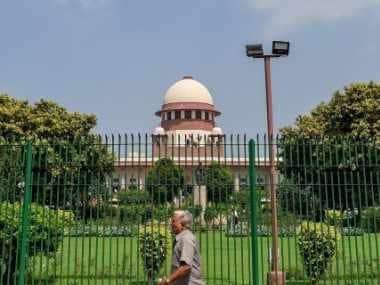 According to reports, the Supreme Court observed that the "director must be a role model" for the CBI's "independence." The court also said, "Public interest paramount in ensuring the independence of the CBI." The verdict was delivered by a Bench of Chief Justice of India Ranjan Gogoi and Justices Sanjay Kishan Kaul and KM Joseph. 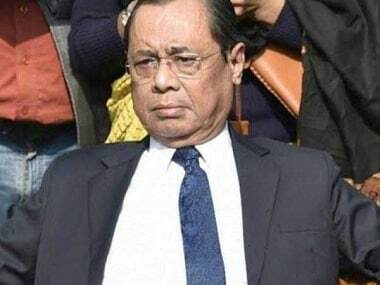 As CJI Gogoi was unavailable today, Justice Kaul pronounced the verdict in Court No. 12, reports said. Speaking to reporters after the verdict, Verma's lawyer Sanjay Hegde said, I see it as a victory for democracy and institutional integrity in India." Speaking to reporters outside the court premises lawyer Prashant Bhushan says it is a 'partial victory' for Verma because of the court's stipulation that the CBI chief won't be able to take any policy decisions. "What is the point of saying that legislative intent while ruling on a partial reinstatement?" remarked Bhushan. According to Bar and Bench, a slew of senior lawyers appeared in the matter. Senior Advocate Fali S Nariman appeared for Alok Verma, while senior advocate Dushyant Dave represented Common Cause. Attorney General KK Venugopal appeared for the Union of India, while Solicitor General Tushar Mehta represented the Central Vigilance Commission (CVC). ASG PS Narasimha appeared for CBI. The Centre had taken a decision against Verma and CBI's Special Director Rakesh Asthana after their feud become public as they made allegations of corruption against each other. Verma has sought quashing of three orders of 23 October 2018 — one by the Central Vigilance Commission (CVC) and two by the Department of Personnel and Training (DoPT), as being without jurisdiction and in violation of Articles 14, 19 and 21 of the Constitution. CBI's Joint Director M Nageswara Rao, a 1986 batch Odisha-cadre IPS officer, was given the charge of interim chief of the probe agency. A bench headed by Chief Justice Ranjan Gogoi had on December 6 reserved the judgement after hearing arguments on behalf of Verma, the Centre, the CVC and others. The court had also heard the plea moved by NGO Common Cause which had sought a court-monitored SIT probe into the allegations of corruption against various CBI officials, including Asthana. Verma's two-year tenure as CBI director ends on 31 January. He has moved the top court challenging the Centre's decision. The Centre had justified its decision to divest Verma of his duties and sending him on leave before the apex court saying he and Asthana were fighting like "Kilkenny cats", exposing the country's premier investigating agency to "public ridicule". Attorney General KK Venugopal had told the bench, also comprising Justices SK Kaul and KM Joseph, that the Centre was well "within its right to intervene" and send both officers on leave by divesting them of their powers. Venugopal had told the court that "only the God knows where and how this fight between the two top officers would have ended" if the government would not have taken the action which was aimed at restoring the public faith in the CBI. Challenging the government's decision, Verma's counsel and senior advocate Fali S Nariman had argued that the CBI Director was appointed on February 1, 2017 and "the position of law is that there will be a fixed tenure of two years and this gentleman cannot be even transferred".